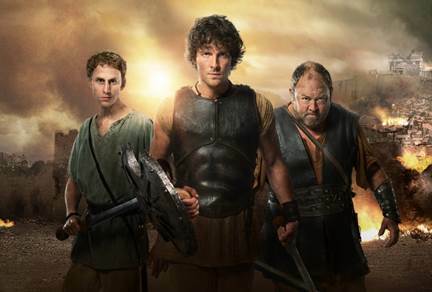 BBC America Gives Atlantis Second Season Pickup! 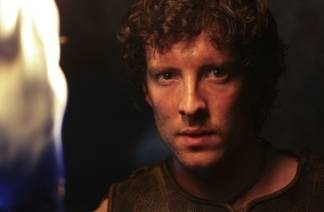 Hard on the heels of its top-rated series premiere, Atlantis has been given a second season order by BBC America. The series, which is a new take on Greek myths and legends, find Jason, a man from our world, transported to the legendary city of Atlantis – where he meets versions of characters like Pythagoras, Hercules, Medusa and King Minos that don’t quite match the legends with which he is familiar. 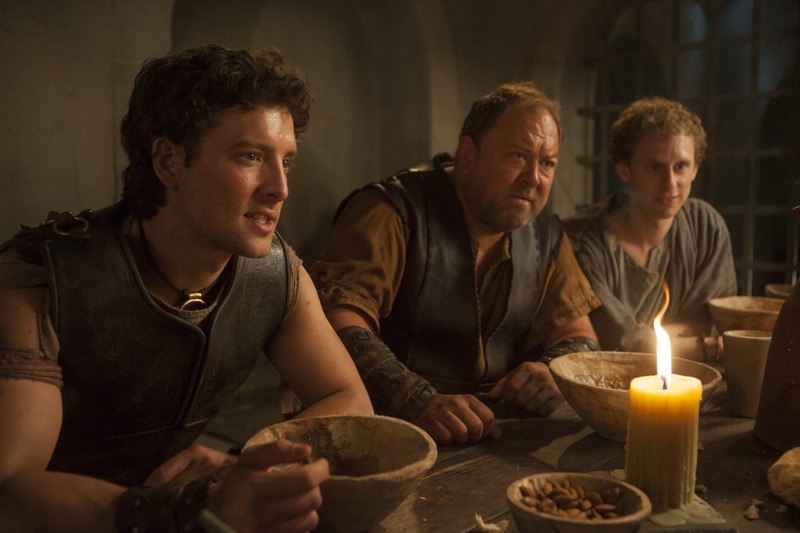 Atlantis is part of BBC America’s Supernatural Saturdays, appearing in the the 9/8C timeslot. Follow the jump to check out the press release. The Day of the Doctor, Atlantis Set Records for BBC America! BBC America is a happy network following the premieres of Doctor Who: The Day of the Doctor and Atlantis, Saturday. 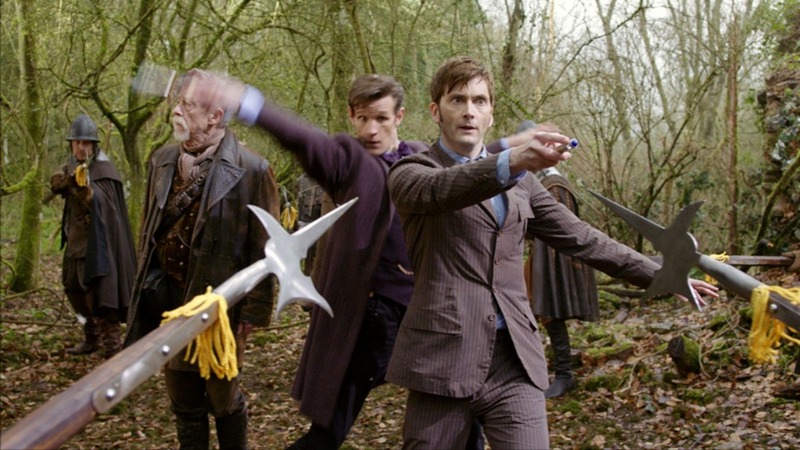 The Day of the Doctor, the 50th Anniversary special that set The Doctor on a new course was BBC America’s highest-rated performer with three-and-a-half million viewers over the course of the premiere and primetime encore. It also ranked number one on Twitter for the day; was Tumblr’s number one event, ever; set the record for a Fathom Events theatrical events, and set a Guinness World Record for largest ever simulcast for a TV drama. The debut of Atlantis, a cheerful spear & sandal/scif-fi-fantasy romp based in a re-imagining of Greek myths and legends, garnered the best ever ratings for a Supernatural Saturday premiere – making the day a complete success for the network. Follow the jump for the press release and further details. Mythic Atlantis Series Premieres After Doctor Who: The Day of the Doctor! BBC America is premiering Atlantis, a series set in the realm of the mythical lost city, following an encore presentation of Doctor Who: The Day of the Doctor on Saturday, November 23rd at 9/8C). The series follows the adventures of Jason, a young man whose search for his missing father takes him to another world (and possibly another time) – the world of Atlantis – where he encounters events and figures of a version of Greek mythology. The series puts a new spin on characters like Pythagoras, Hercules, Medusa and King Minos – there are creatures of myth (think the Minotaur) and magic is real. 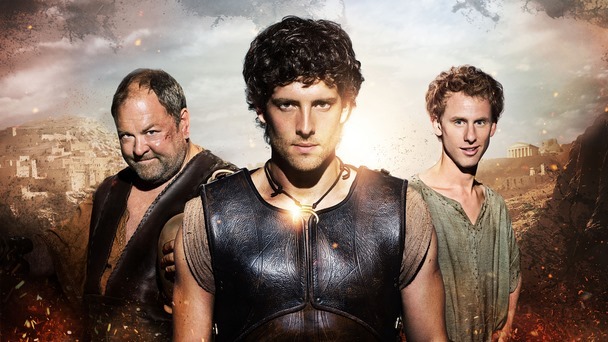 Melding mythology and classic spear-and-sandal elements in a unique manner, Atlantis comes from the creators of such BBC hits as Merlin and Misfits. For more details, check out the press release after the jump.